Without Lionel Richie as their frontman, the Commodores soldiered on. They surprised everyone with this 1985 hit, 'Nightshift'. Written as a tribute to Jackie Wilson and Marvin Gaye, two musicians who died in 1984. 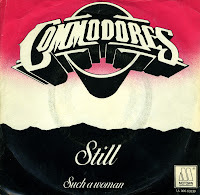 The single reached number 3 in the UK singles chart and number 1 in the Netherlands - the only number 1 hit for the Commodores in this country. 'Nightshift' won a Grammy Award in 1985 for best R&B Performance by a duo or group with vocals. 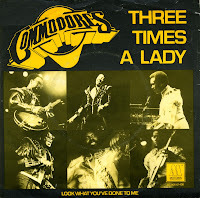 The Commodores reached the peak of their career in 1978 when 'Three times a lady' was a worldwide hit. Their next big hit was 'Sail on', a ballad with a funky brass band in the background. The single peaked at number 8 in the UK singles chart and number 4 in the Dutch Top 40. After this, the Commodores released 'Still', their last hit single with Lionel Richie in the band. 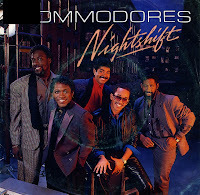 Taken from their 1979 album 'Midnight magic', 'Still' was the last hit single for the Commodores before Lionel Richie, who sings lead vocals on this track, went solo. The ballad was a huge hit in America, topping the US BIllboard Hot 100. The single also reached number 4 in the UK singles chart and number 17 in the Dutch Top 40. Lionel Richie from the Commodores reportedly wrote 'Three times a lady' about his love for his wife, his mother and his grandmother; hence the title. 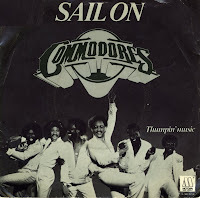 Released in 1978, it became the Commodores's first Billboard Hot 100 number 1 hit. It was also the band's only number 1 hit in the UK and it peaked at number 3 in the Dutch Top 40. Lionel Richie went solo at the beginning of the Eighties. The original Commodores version of the song was included as the final track on Lionel Richie's greatest hits compilation album Back To Front, released in 1992.